For many years, British psychologist Richard Bentall has promoted rethinking about the way psychiatric diagnosis has been conceptualized. When I first read his book, Madness Explained (Bentall, 2006), I was immediately impressed by his carefully researched and referenced arguments that challenged many mainstream views on mental illness. For example, he challenged the prevailing assertion that genetic research has demonstrated conclusive evidence that schizophrenia and bipolar illness are genetically determined and are fundamentally medical diseases. His work is careful not to rehash outdated arguments of nature versus nurture or mind/body dichotomies, but rather to put into proper focus the evidence and limitations of such research. Bentall’s justification for abandoning the Kraepelinian model for mental illness is built upon Kraepelin’s presupposition that mental disorders are discreet entities, like diseases. The medical model of madness insists that mental disorders exhibit the same characteristics as physical processes and have etiologies rooted in identifiable alterations of the organism’s structure. To that end, neurotransmitters, brain regions, and genetic associations have been researched and are promoted as causal. However, biochemistry, structure, and ancestry do not directly predict any mental disorder and are, rather, descriptions of how the human organism functions—not why. Whereas some neurotransmitters are clearly related to certain psychological phenomena, such as pleasure, excitement, or comfort, none are pathognomonic to any specific conditions. In fact, no specific genetic findings for specific mental illnesses have been established. Instead, research is favoring multiple etiological factors as both biological and experiential. Given the complexity of contributing factors, Bentall also notes that some psychiatric categories are outdated artifacts of ancient traditions and concepts. Schizophrenia is not a “split mind,” nor is hysteria a “wandering womb.” Instead, Bentall proposes a psychiatric diagnosis based on the patient’s presenting complaints, with careful consideration being given to hearing the patient’s life story. The need for an encompassing category (i.e., a psychiatric diagnosis) is both unnecessary and potentially misleading. He advocates for the individuality of the patient, rather than the fitting of the patient into preconceived categories. Given the constantly expanding number of mental disorders being developed by the DSM system (American Psychiatric Association, 2013), it is clear that no category completely captures the significance of each patient’s needs. When used as a glossary of technical terms, the DSM is clearly useful for operational definitions; where it fails to be useful is in capturing the humanity of the patients under examination. Perhaps the consideration in the DSM-5 for dimensional diagnoses, as seen in the section on personality disorders, may extend across all of the conditions. Perhaps too, we will stop talking about conditions or disorders, and consider people. Ironically, at the same time that progressive societies espouse the importance of difference and tolerance, we are also pathologizing and labelling each other with great confidence. For more on diagnosis, see DSM-5 Diagnoses and Defenses. Bentall, R. (2006). Madness explained: Why we must reject the Kraepelinian paradigm and replace it with a “complaint-oriented” approach to understanding mental illness. Medical Hypotheses, 66, 220-233. Some of you have read my earlier blog, “Isn’t Psychoanalysis Dead?” I lamented that psychoanalytic theory is often excluded from discussions in psychology courses—at what I believe is a great loss to future clinicians’ ability to understand their clients/patients deeply. Well, I recently ran into another example of the value of psychoanalysis, of its omission from typical training, and of the limitations that excluding it from training may pose to successful treatment, even beyond psychotherapy. I was recently talking with a young woman who is completing her doctorate in Physical Therapy. When she learned that I am a psychologist, she mentioned that she’d taken Abnormal Psychology to fulfill an undergraduate requirement and how interesting parts of the course had been. “Which parts had been most helpful?” I asked, trying to gain some pointers for my own upcoming class in Abnormal Psychology, which includes many exercise science majors. She noted that, while depression and anxiety can affect a person’s physical health, some things in the course hadn’t felt relevant–she felt the course had been too limited. And then SHE began lamenting that no one had ever even talked about Freud or the possible value of psychoanalysis or psychoanalytic psychotherapy. She added that her psychology instructor had said they would be skipping the chapter on psychoanalytic theory “because no one uses it anymore.” She continued, “sure, he developed his theory a century ago, and some aspects may make more sense than others, but wasn’t some of it still helpful to know? And what about all the new stuff now coming out in neuropsychology and neuro psychoanalysis? Aren’t psychology teachers aware of it?” One of her colleagues, who apparently had been introduced to some basics in psychoanalytic theory, commented that he’d actually recently seen a case of a Conversion Disorder, with physical symptoms without physical basis—“like with Anna O!” He noted the many possible connections between some physical symptoms and unconscious conflicts, and how helpful that notion had been to his work. Having many lenses through which to understand an individual’s experience is helpful to those in fields both inside and outside of psychology. Eric Kandel, renowned neuroscientist, would agree with the enormous value of psychoanalysis. I know I’ve quoted Kandel before, but he’s a Nobel Laureate(!) and worth mentioning again. In 1999, he wrote, “…psychoanalysis enters the twenty-first century with its influence in decline. This decline is regrettable, since psychoanalysis still represents the most coherent and intellectually satisfying view of the mind” (1999, p. 505). Writing about couples therapy, Judith Siegel, well-respected object relations couple therapist, has also noted that, “while object relations concepts provide a wealth of information regarding the ways family systems influence their offspring and the ways grown children revisit these influences as they select partners and engage in adult intimacy” (2010, p. 134), “today’s therapists enter training programs that do not uniformly include the psychoanalytic theories that were previously regarded as the cornerstone of therapy” (2010, p. 134). Don’t get me wrong. I do believe that CBT can be helpful, as can humanistic approaches, Gestalt therapy, narrative therapy, mindfulness exercises, etc. etc. But therapy is not a “one size fits all” undertaking. The value of psychoanalysis is that it respect the “individualness” of the individual–it provides us with means to promote an awareness and understanding of the inner world and its influence over relationships in our patients. Psychoanalytic theory provides a valuable lens through which to understand the human condition and our patients’ suffering, and tools to help them build a meaningful life. What was your introduction to psychoanalytic theory in your own undergraduate and/or graduate training? Was it dismissed for you as well? I’m wondering if this is primarily an American phenomenon, or if it’s world-wide and would love to get your input! Please email me at mgersonphd@psychstudies.net regarding your experiences, and indicate whether I may share them in a future blog. Kandel, E. R. (1999). Biology and the future of psychoanalysis. American Journal of Psychiatry, 156, 505-524. Siegel, J. P. (2010). A good-enough therapy: An object relations approach. In Alan S. Gurman & ProQuest (Firm). Clinical casebook of couple therapy. New York, NY: Guilford Press. Can psychoanalysis help build resilience? Psychoanalysis, resilience, and meaning-making may go hand-in-hand. Resilience involves being able to do better than expected in the face of difficult circumstances. It requires inner strength. What factors may help promote such strength? Meaning-making—finding a sense of purpose and meaning in life—seems to be especially important. Research has long pointed to the potentially important role that spirituality can play in building psychological well-being and resilience (e.g., Anum & Dasti, 2016; Fombuena et al., 2016; Foskett, Marriott, & Wilson, 2004; Porter et al., 2017; Smith & Carlson, 1997). Studies have explored many aspects of spirituality—experiences of transcendence and awe that can come from sensing something greater than the self, feelings of connection with others, and the meaning-making involved in a personal search for purpose and meaning in life (intrapersonal spirituality). A recent study (Gerson, 2018) has found that intrapersonal spirituality—meaning-making—best predicts both resilience and life satisfaction, at least in early adulthood. The study explored predictors of resilience and life satisfaction in over 400 undergraduates at two universities in the US. Measures included sense of purpose and meaning in life, spiritual connection to others, and feelings of spiritual transcendence, as well as a host of other variables. 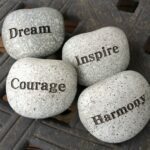 Contrary to many current studies which have focused on the importance of transcendent spirituality and social support, the study found that, at least in young adulthood, resilience is best predicted by more individual factors, including a personal sense of purpose and meaningful life. And the relationship between resilience and meaning-making is strong. What implications may this finding have for psychoanalysis? We know that psychoanalysis seeks a deep understanding of the human psyche—rather than focusing merely on behavior change or symptom resolution, psychoanalysis explores deeper motivations and the potential sources of emotional turmoil. Psychoanalysis and intrapersonal spirituality share a common goal—that of meaning-making. Resilience requires stamina in the face of hardship. It makes sense that a mindset of seeking understanding and a meaningful life—and resilience—may be strengthened by the process of psychoanalysis. Psychoanalysis, resilience, and meaning-making may go hand-in-hand. To learn more about psychoanalysis, see Classical Psychoanalytic Theory or other courses in psychoanalytic psychotherapy. 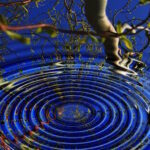 You may find the brief article on Psychoanalysis and Mindfulness interesting as well. Gerson, M. W. (2018). Spirituality, Social Support, Pride, and Contentment as Differential Predictors of Resilience and Life Satisfaction in Emerging Adulthood. Special Issue on Positive Psychology, Psychology. What are the benefits of psychoanalysis? 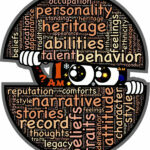 Psychoanalysis benefits the individual in a number of ways that not all types of psychotherapy do. First, some context. In a complex society such as ours, people are challenged to adapt to a constant flow of change. Each of us is subject to cultural, ethnic, religious, economic, and political expectations while also trying to preserve our individual sense of self. While we navigate our way through daily living, we do our best to preserve the values, ideals, and dreams that make us unique. Diversity and difference are essential on a large scale for a species to survive, while at the individual level consistency and integrity are essential for security. Many of the issues that bring persons to seek psychotherapy relate to threats against security. Loss of loved ones, conflicts with co-workers, struggles in school, or financial worries all share a basic threat to the preservation of one’s individuality. Yet, people are expected to adapt and change to the relentless pressure to conform. Unfortunately, many modern approaches to psychotherapy advocate on behalf of the prevailing society’s definition of health. That is, the goals of some therapies involve helping the individual learn to accommodate his or her actions and ideas to those deemed “normal.” A person “should” be extraverted, socially motivated, objective, and open to change. Admirable as these qualities might be, they are not for everybody. Likewise, psychotherapy that functions as a tool for social conformity may tend to diminish the value of the individual in favor of a socio-political agenda. In contrast, historically psychoanalytic therapy has advocated for the enhancement of human diversity through the nurturing of a person’s self-development. (Not surprisingly, psychoanalysis was banned in repressive totalitarian societies like the USSR). This is at the heart of the benefits of psychoanalysis. Psychoanalytic therapy promotes a consumer-driven agenda as it is tailored to the needs of the individual and his or her life history. Childhood history is important as the reference of the normality each individual has known. Everyone is born into a “normal” home in that childhood sets the context for one’s experience of the world. Good, bad, or otherwise, one’s childhood has influenced how one knows the self and others. Becoming aware of these historical influences is critical for any semblance of autonomy. Likewise, the patient is not pigeon-holed into some pre-determined diagnostic category, but rather is appreciated in terms of his or her unique challenges and conflicts. Every patient is encouraged to talk about and explore whatever is important to him or her. No one else imposes an agenda of acceptable or appropriate areas of concern. Therapy is not time-limited, but rather affords the patient the dignity and respect to pace the treatment and to preserve the therapeutic relationship as long as it proves valuable. The role of the therapist is as an ally and partner in the therapeutic process. While it may sometimes necessitate confrontation, the over-arching principle is “in the best interest of the patient” wherever possible. The ultimate goal of therapy is to help mitigate human suffering and enhance the quality of the individual’s life. Whereas symptom reduction occurs, it is not the sole focus of therapy or the definition of success. Too often, expedience and economic efficiency become the criteria for establishing a standard of care. Psychoanalytic psychotherapies support relevance, meaningfulness, and humanity as the more appropriate gold standards. To learn more about psychoanalysis, see Psychodynamics of the Therapeutic Relationship, Personality Disorders from a Psychoanalytic Perspective, Psychodynamics of Child Abuse and Trauma, Classical Psychoanalytic Theory, Ego Psychology, or Object Relations Theory. Psychoanalysis and mindfulness may seem to have little in common. They both involve the mind and are often focused on taming disturbing thoughts and feelings. But their methods seem to be completely at odds with each other. Or are they? Let’s take a look at mindfulness and see how it may be an excellent adjunct to psychoanalysis. Try, for a minute, to do nothing at all. Don’t talk or move around or think about anything. Just be. For a full minute. What happens? If you’re like most people, you’ll find this to be harder to do than it sounds. Your thoughts may wander. “What’s the purpose of this?” Thoughts or images of the past or future may emerge. “What do I need to do tomorrow?” “I wonder what he meant by that?” . . . The mind easily gets lost in endless thinking. Thoughts create emotions and emotions generate more thoughts, and so on. This may be fine when these are positive and pleasant thoughts and emotions. But often they are not. And often they’re not about the immediate present. Instead, they’re likely to be about past upsets or future worries. You may lay awake at night because you worry about what might happen tomorrow. Maybe you can’t stop thinking about that mistake you made last week. You may constantly be busy with the things that need to be completed. Mindfulness teaches how to bring more balance to this tendency, by focusing the attention on the here and now—attention to the things that are happening in this very moment, in a non-judgmental way. Thinking about and learning from past mistakes, planning for the future, and acknowledging sorrows and worries are all important. But people often get lost in thoughts about the past and future, to the detriment of experiencing life in the present. Note that acceptance plays a key role in mindfulness. Mindfulness is not turning off the mind. Mindfulness does not restrict, deny, or inhibit thoughts or feelings. Instead, through mindful attention and acceptance, you allow every feeling, emotion, sensation, or thought to be there. Instead of fighting against them, mindfulness fosters willingness to acknowledge, allow, and accept these internal states. By letting go of this struggle, you may come to realize that many thoughts, worries, and feelings fade away automatically, and probably sooner than if they’d been fought against. Emotions come and go and thoughts, worries, and feelings often fade away automatically if allowed to. By letting go of the struggle against them and giving them room to exist, unhappy thoughts and feelings can be experienced as temporary and less overwhelming. Mindfulness helps you create a different relationship with your thoughts, feelings, and emotions. When you become an observer of your own inner states, you are no longer identified by them or completely lost in them. You can still experience the emotions or feelings, but now have the choice of being fully taken by them or not. What I’ve just described for mindfulness is actually similar to the stance of the psychoanalyst. Inviting you to say whatever comes to mind without censoring your associations. Helping you become aware of the thoughts, feelings, and patterns that arise. Helping you make sense of them without judgment, until they can be dealt with instead of battled against. Mindfulness practices are helpful tools for bringing a person back to the present moment. By allowing thoughts and feelings to be present without judgment, a person may also become more aware of the internal states, of recurring patterns of thoughts and feelings, and of issues that seem repeatedly to cause distress. This self-awareness can be very helpful in therapy. Resistances to meditation—boredom, distraction, sleepiness, etc.—are also common complaints in mindfulness practice. They can be useful signals that outside guidance—as in psychoanalysis—may be helpful in removing barriers to further insights. And yes, now we may need to delve into transferences from . . . the past . . . But only so that the person can be freed from the past. This brings us back to the question of whether psychoanalysis and mindfulness have anything in common. The more experience I have with both as a clinician, the more excited I am about how they can be used together in practice, to facilitate a person’s self-understanding for a fruitful life in the present. 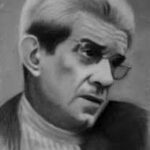 To learn more about psychoanalysis, see Classical Psychoanalytic Theory. To learn more about the theoretical foundations of mindfulness, see Mindfulness Meditation Training: Introduction, Attention, and the Present Moment, or for its applications, see Mindfulness Meditation Training: Body Scan Meditation and Informal Mindfulness Practices. Today’s Wall Street Journal offered a book review by Adam Kirsch of, yet another, “quasi-biography” of Sigmund Freud. The book in question is Freud: The Making of an Illusion by Frederick Crews, the latest in his seemingly endless criticisms of Freud. As noted by Kirsch, this endless war on Freud by Crews is a direct attack against the person of Freud and, by extension, an assault on nearly everything Freud had to say about the human mind. Crews, a Professor Emeritus of English of UC Berkeley, is a well-established literary critic who had once embraced psychoanalytic theory, but has since become one of its most vociferous dissidents. His current work goes beyond his usual attacks against psychoanalysis as a “pseudo-science” and is a direct disparagement of Freud himself as a con man, liar, bully, plagiarist, and false prophet. 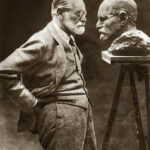 As a psychoanalyst myself, I wonder if Crews’ apparent obsession with destroying Freud and psychoanalysis represents what would be labeled a reaction formation–the exaggerated attempt to conceal a private truth (envy) with its opposite (contempt). This was not Crews’ first harsh criticism of Freud, which dates back decades. His agenda to eradicate Freud and Freudian theory ironically betrays his indebtedness to Freud for having established a basis for Crews’ career. No doubt that Freudian psychoanalysis has changed significantly since Freud (who died in 1939), as he, himself, revised his ideas at least five times over a 40-year period. Nevertheless, he provided 23 volumes of writings on the human condition that have stimulated the search for understanding the complexity of the human mind, our motivations, and our unique forms of psychological sufferings. Freud offered a humane approach to understanding madness, an early attempt at clinical treatment, a recognition for the importance of child development and child-rearing practices, and a method for understanding the humanities. Obviously, the legacy of Freud’s ideas has been remarkable. 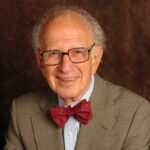 Despite Freud’s many critics and continued controversy, Nobel-laureate neuroscientist, Eric Kandel, noted that “psychoanalysis still represents the most coherent and intellectually satisfying view of the mind” (Kandel, 1999, p. 505). Freudian theory, while not a rigorous scientific model that can be easily tested in a laboratory, poses necessary questions that require inter-disciplinary study from all the humanities. Humans live in both a shared empirical reality and a private, personal world of fantasies and imagination. Rational-empiricists, like Crews, seem to believe that science, in its purest form, is the only truth. If that were so, why become an English professor? Science is not a subject matter, but rather is a methodology for research. The humanities represent other methodological forms that also explore stories about the human experience. A psychological truth that ignores these other stories denies the essence of the inquisitor. Humans are ultimately story-makers regardless of what those stories are about; physics, poetry, or dreams. All our knowledge, no matter how rational or empirical, will always remain human knowledge. Criticisms of Freud can make important contributions toward a dialogue of ideas. Unfortunately, character assassination presents as excessive disputation that does little to promote meaningful discussion. Freud, the man, is dead; eviscerating his corpse appears to me as spiteful and mean-spirited and serves no intellectual or scientific advantage. To read more on Freud’s theory, see Classical Psychoanalytic Theory. Kandel, E. (1999). Biology and the future of psychoanalysis: A new intellectual framework for psychiatry revisited. American Journal of Psychiatry, 156, 505- 524. Kirsch, A. (2017, September 30-October 1). Why the Freud wars will never end. The Wall Street Journal, p. C7. Most clinicians in the United States make psychiatric diagnoses with the DSM-5 (Diagnostic and Statistical Manual of Mental Disorders). While “DSM-5 diagnoses” and “defense mechanisms” are rarely terms seen together, the diagnostic process is benefitted by a deep understanding of the person. First published by the American Psychiatric Association in 1952, the DSM began as a brief manual listing 106 diagnoses; now, in its fifth edition it consists of a weighty book outlining nearly 300 diagnoses. The DSM is controversial. Each diagnosis is presented as a series of largely behavioral criteria that must be met or ruled out, with checklists and decision trees. Its reliability and validity have been challenged by many sources. Some find it to be too superficial, while others too subjective. Nevertheless, it is a central focus of most diagnostic training courses in psychology and psychiatry. Unfortunately, the DSM-5 itself is often misunderstood and misused. The manual does in fact begin with a discussion of the importance of clinical judgment in diagnosis. 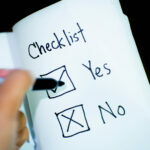 Many clinicians, however, view the criteria as factual checklists to be memorized and applied in a concrete manner. 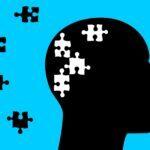 As a member of the task force involved in the creation of the DSM-5, I can attest to the importance of applying the diagnoses cautiously, with an understanding of the person you are trying to describe. People are not diagnoses; people are unique. At the point that they struggle in ways that significantly interfere with their functioning or that cause significant distress, they may be described with a diagnosis. But a diagnosis is also not a tangible tumor-like entity to be extracted; a person’s struggles cannot be summarized well by a mere listing of behaviors. Understanding defense mechanisms can help deepen and guide the clinician’s judgment in making helpful psychiatric diagnoses, especially for Personality Disorders. Simply defined, defense mechanisms are the unconscious or automatic mental activities a person engages in to balance subjectivity and reality. In psychoanalytic theory, they refer to a constellation of mental processes developed to protect the integrity of the ego system (mind). As such, defenses protect against threatening impulses and desires (internally generated) as well as against potential threats from the external environment. A person might “forget” to sign an alimony check or gasp “no!” when hearing of the death of a valued friend. Both acts can be understood as the product of denial. A politician who says “I’ll tell you the truth” has already admitted to a tendency toward deception. Likewise, Shakespeare’s “me thinks the lady doth protest too much” demonstrates reaction formation as a defense used to disguise a truth with an exaggerated opposite presentation. Personality Disorders (character pathology) are largely evidenced through their consistent use of a rigid set of defensive patterns. The Paranoid Personality projects aggressive thoughts onto others, creating a view of the environment as dangerous and untrustworthy. The Obsessive Compulsive Personality works diligently to pre-empt chaos and disorder by being overly conscientious, detailed, and meticulous. The Histrionic Personality fears rejection and being unloved, leading to flirtatious, seductive, and approval-seeking interactions. In each of these examples, the blueprint for the structure of the person’s lifestyle is characterized by the repeated set of ego defenses used for preserving sanity. The online course, Personality Disorders from a Psychoanalytic Perspective, provides an in-depth discussion of the ego defenses that underlie each personality disorder and how they are manifested. Having a clear understanding of defense mechanisms and how they manifest can help the clinician better understand the complexity of human experience. Some theoretical orientations, such as Cognitive Behavior Therapy, focus on easily accessible world views, cognitive “errors,” “maladaptive thoughts,” “irrational thoughts,” etc. Others, such as behaviorism, focus solely on observable behaviors. Regardless of clinical orientation, however, the DSM-5 is used by psychologists and other health care professionals in the US as the authoritative guide to diagnosis, and it describes Personality Disorders in terms of rigid and pervasive ways of relating to the world. Whatever one’s theoretical perspective, knowledge of various motivating factors enriches the clinician’s toolbox and promotes an empathic appreciation for psychological suffering. You know it’s good for you. Many studies have shown the benefits of including meditation in your life. But, whether you already meditate regularly or just wish you could, you’re probably aware of challenges to establishing it as a regular practice. You may feel bored, restless, or impatient. Or start to feel physically uncomfortable. Maybe you can’t reign your thoughts back from wandering to worries or to the sound of a dripping faucet. Meditation challenges can interfere with your progress. There are many kinds of meditation. I’ll be focusing on mindfulness meditation here, as research shows its benefits go far beyond relaxation. With mindfulness, a person learns to focus attention on the present moment, without judging or evaluating thoughts or feelings (see Mindfulness Training: Introduction, Attention, and the Present Moment for a full discussion on mindfulness and its benefits). Let’s look at three common problems for all kinds of meditation—boredom, restlessness, and impatience—and some suggestions for managing them. Your mind starts to wander. “I’ve got so much to do…” “When will this be over…” Boredom may allow your thoughts to focus on the past—and ruminations about past disappointments—or on the future—and anxieties about what’s in store next. Or it may just disengage you from the present moment. How can you bring your mind back, fully engaged with the present? First, be kind to yourself. Acknowledge the feelings—accept that they’ve occurred and let them be. Boredom is a common problem and an opportunity to practice refocusing on the present. “I can’t be bothered.” “This is a waste of time.” Allow them to be and then to pass on. Attend to the sensations with curiosity. Where did the boredom come from? Where is it going? Where is it felt in the body? Where is it leading you—are you wanting to fall asleep? Take a third party perspective and simply observe the boredom within you, as separate from yourself. You are not the boredom. It is simply an experience that will come and go. Do not judge it, just allow it to be. Now, focus back on the breath, in the present moment. Observe your thoughts, feelings, and sensations as they come and go. You are likely to find that feelings, thoughts, and sensations really do pass with time—this itself may be interesting. And it’s an important lesson to remember, next time you feel overwhelmed by any of them in other areas of your life. “I can’t stand laying here for one more minute…” Restlessness is similar to boredom, but with more energy. You may be feeling fidgety. If you’re struggling with settling into meditating, begin with something more active. Mindful activities, in which you are fully focused on the present moment, can be beneficial in and of themselves. They may also help calm the mind and prepare it for meditation. You may wish to begin your meditation time with mindful walking or mindful yoga. Mindfulness Training: Body Scan Meditation and Informal Mindfulness Practices presents more ideas for informal mindfulness practices. As with boredom, if restlessness occurs during meditation, observe your thoughts, feelings, and sensations, without reaction. Just notice what the mind wants but continue to sit or lay. This is an opportunity to discipline the mind. You are in control of your mind, not the other way around. “Why am I not feeling better? I’ve been meditating every day for a week now!” Many beginning meditators expect to get immediate results from meditation. Meditation takes time, effort, and practice for results. It requires a great deal of patience. The good news is that patience is something that can be built—it is strengthened with work and practice. If impatience arises during meditation, simply observe the impatience without reacting. As with most feelings and thoughts, the impatience is likely to pass. Each time you are able to allow it to be, without reaction, you are building patience as a skill. To reap its benefits, it’s important to schedule meditation into your daily routine and practice it for at least a month. If you’re ready to give up on it, ask yourself how long a period you could tolerate for now—15 minutes? 10 minutes? 5 minutes? Even if it’s only for 1 minute, start with that. Continue to practice it, as scheduled, gently increasing the time as you can. With regular practice, you’ll notice your impatience lessening. And the patience you’re building is likely to translate to other areas of your life. The goal of mindfulness interventions is to teach participants to become aware of body sensations, thoughts, and emotions and to relate to them with an open, nonjudgmental attitude (e.g., Shapiro, Astin, Bishop, & Cordova, 2005). Such an open state of mind can be cultivated by repeated practice. Studies show that mindfulness meditation engages many underlying mechanisms, including regulating impulsivity and building self-control (e.g., Fetterman, Robinson, Ode, & Gordon, 2010). It helps build skills that can translate into success in other areas of your life. Academic performance, interpersonal relationships, and life satisfaction have all been found to benefit from regular mindfulness exercises. Every challenge to meditation presents an opportunity to strengthen your control over your mind. Mindfulness Training: Body Scan Meditation and Informal Mindfulness Practices provides more meditation tips as well as discussion and demonstrations on the body scan meditation and informal mindfulness practices. See Facing Dreaded Projects (How to Make a Mole Hill Out of a Mountain) for more ideas on approaching tasks that seem insurmountable. Learning about the theory behind mindfulness and research findings on its benefits may also be helpful—see Mindfulness Training: Introduction, Attention, and the Present Moment.